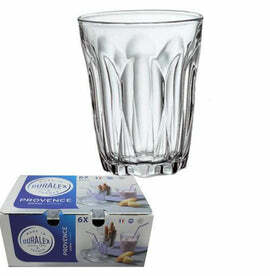 Founded in 1939, Duralex has been manufacturing tempered glassware, and are the inventors of the glass tempering process. These durable tumblers are equally suitable for cold or hot drinks, they are conveniently stackable and of course are microwaveable, dishwasher and freezer safe. They are also incredibly chip resistant, and the perfect weight. Duralex is recognized as the leader in this process throughout the world, and is the only glass manufacturer that makes 100% of its products in France.